Training course providers TheKnowledgeAcademy.com have found in a study of 1,900 professionals that 42% felt more confident doing their job after they read more books on a related subject, and 74% felt more confident after they took an extra course or qualification related to their profession. 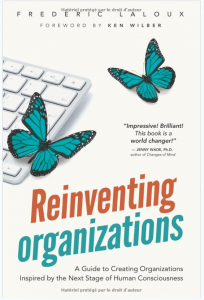 Recommended to us by Tom Haak Frederic Laloux’s Reinventing Organizations is considered by many to be the most influential management book of this decade. It has inspired hundreds, probably thousands, of organizations throughout the world to take a radical leap and adopt a whole different set of management principles and practices. It’s also a word-of-mouth phenomenon, propelled by a deeply caring and generous community of readers. Self-published with no PR, it has already sold 350.000 copies and has been translated in numerous languages. 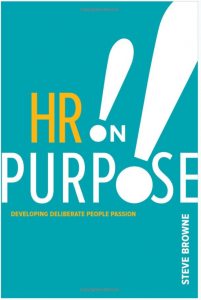 HR on Purpose!! 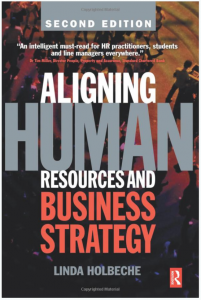 takes a fresh look at HR through an engaging assortment of real-life examples, insights, and epiphanies and encourages practitioners to drop the preconceptions of what HR should be and instead look to what HR could be. Read this book and rekindle your passion for our growing, vibrant and vital profession. Authors Glenn Elliott and Debra Corey bring a wealth of experience to their 2018 book on employee engagement. 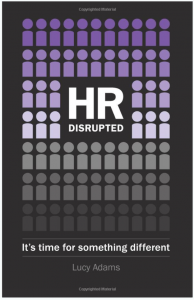 One Amazon reviewer wrote that it was the “GO TO book for HR practitioners who are committed to unlocking engagement so their people can perform at their best.” This guide claims that breaking with traditional HR rules can help create more engaged employees, and consequently build better businesses. 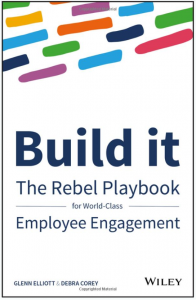 The book follows the Engagement Bridge™ model, highlighting ways you can bring a positive work culture to your organization using case studies from companies like Virgin, American Express, and LinkedIn.